If there has been one book that has changed the photography industry recently, it has been Dane Sanders' Fast Track Photographer. For the amateur and professional alike, Dane makes clear what many people have missed. Pretty pictures do not a good business make. You are not your photography, and YOU are what sets your business a part from every other photography business out there! 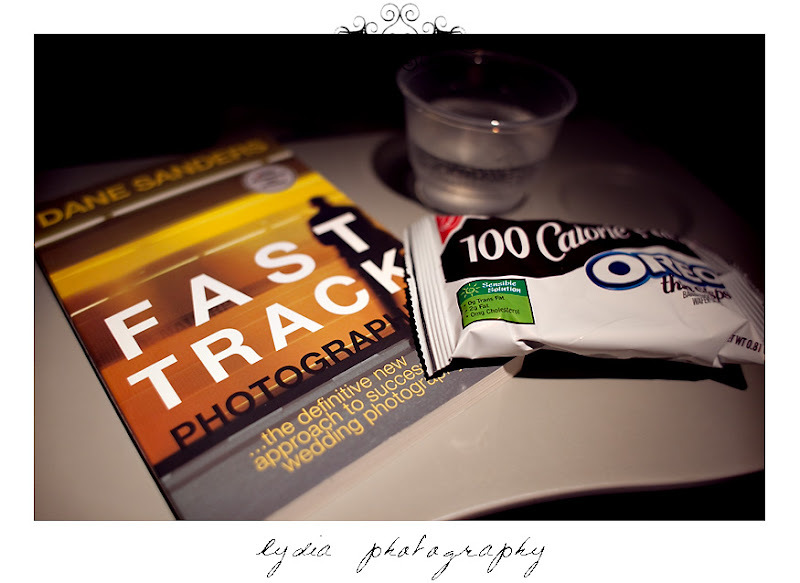 With Dane releasing a new and updated version later this year, the original edition of Fast Track Photographer is no longer available from his store. As I attended his workshop back in May and got a sneak preview of some of the new content, I know it will be good and can't wait to read it! For those of you who cannot wait until then, I have three copies of the original in the ebook format that I am giving away to three blog readers! To enter, simply leave a comment sharing one word you think best describes ME and some way to contact you (ex: lydia[at]lydiaphotography[dot]com or a link to your own blog). The giveaway will end on Tuesday midnight PST and the winners will be randomly drawn from all the qualifying entries. Feel free to spread the word and leave another comment sharing how for an additional entry! I like your ideas and visualizations. I'm first, Woo hoo!!! I'm so glad that you are doing this contest, I tried ordering this bookonline and found out that it's not available till the new version is released in May :(, I have known about it for so long, and thought I would read it to start off a new business year. I really don't thik I can wait till May, but thanks to you, maybe I won't have to! The first time I heard about you was when you were on Ask Dane. Ever since then I've followed you on twitter and I can see how your confidence has grown. You push yourself to succeed and it's inspiring to watch. wow would love to get a copy of this! thanks so much for giving away this to your readers! Your work is gorgeous, and I love stalking your blog...;-) You always give me fresh and inspiring ideas in photography. You inspire others through the love of your work; your passion for photography comes across in every frame -- encouraging others to develop that same fire. I want to leave this contest to the people who do not have the book yet (in any form!). It is indeed a fantastic book, and everyone should read it! Thanks for liking my site:) Always great to get props from a fellow photog!